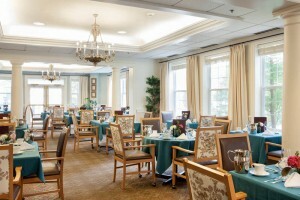 Whether you’re looking for a short-term vacation stay or for rehabilitation after a surgery or hospital stay, The Fountains offers top-notch care plus all the comforts of home. With our nightly rate, you’ll have access to fun events, three outstanding nutritious meals daily, a full calendar of dynamic mind and body fitness classes, scheduled transportation and experienced associates available 24/7. You’ll feel right at home in our beautifully furnished, private accommodations with tailored services set on our beautiful campus in the heart of historical Tuckahoe. Enjoy a two-minute walk to the train station or a 30-minute drive to the bright lights of Broadway. Most importantly, you’ll be able to rest easy and recharge your batteries knowing you are receiving all the care you need. Call 914-574-2393 to learn more or to reserve your vacation stay today.